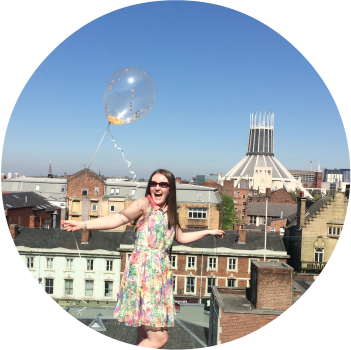 Last Friday, Ginger and I headed into the City Centre for a girlie afternoon of catching up and shopping. Now if you ask me, there can be no shopping on an empty stomach so as soon as we got into town we headed over to Hanover Street Social with fingers, toes and tongues crossed that we could get a table. Ginger has dined here before and said it can get super busy around lunch time so we hoped and prayed they could seat us. Stepping through the door/heavy velvet floor length curtains, the place was rammed! So much chatter, platters of food flying past, glasses clinking, to say it was busy was a it of an understatement. Turns out the goddesses of empty bellies where smiling down on u this day and they managed to seat us right away! We got pretty lucky because as soon as we sat down, they started to turn people away - talk about lucky! Hanover Street Social offer a fantastic lunch deal; Monday - Friday 12pm - 6pm and Saturday 12pm - 5pm, you can get 2 courses for £10.95pp, or if you're feeling really hungry, 3 courses for £13.95, from a set menu. We all know how many courses I went for already don't we? Thought so! They also have a small tapas style offer, small plates for £4.50 each or any 3 for £12. Perfect if you just want some nibbles with a glass or two of wine (shopping can be hard work!). Slight oily top to the soup was a bit strange looking. 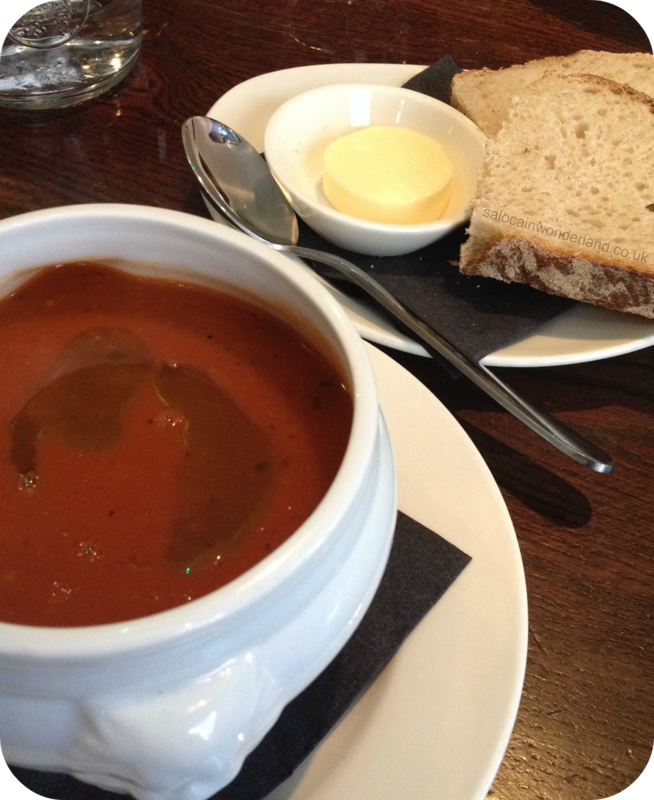 To start, I chose the soup of the day which happened to be tomato and paprika soup with a side of Libby bread. The Libby bread came with a pat of soft butter. The bread was similar to soda bread, but not as dense. The soup was piping hot! Like I'm talking magma hot - not very mouth friendly, much slurping ensued! The soup was lovely, really hearty and warm and you could really smell the paprika, but it was just a touch too spicy for me which was a shame! As soon as the bread ran out I didn't have much more of the soup, shame. Next up, mains! 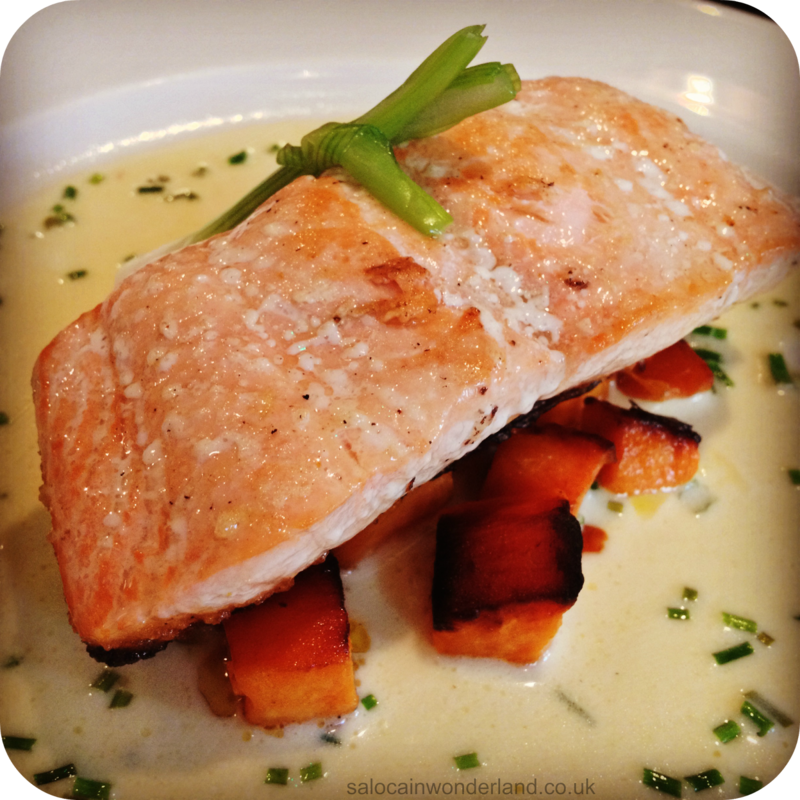 I went for the fresh fish of the day, which was Salmon on a bed of sweet potato and tarragon sauce. We'd waited a while for the mains so where starving once they showed up, Ginger had to remind me to snap a picture before I threw my face in there! The salmon was cooked perfectly, it just fell apart at the touch of my fork. It was really moist and full of flavour. The sweet potato was a little burnt but still tasted delicious, especially when smothered in the tarragon sauce. I'd have liked a tiny bit extra sweet potato though! Greedy, I know! Those green flecks are from the lights above! To finish, I had to have some dessert! Who can say no when there's Crème Brûlée on the menu? And this wasn't just any Crème Brûlée, it turned out to be chocolate flavoured! It was pretty perfect! We waited forever to get someones attention to order dessert, then waited a good while for it to come too. It was worth the wait though. The top was so thick, it was very therapeutic to smash my spoon through it. The dessert was denser than other Crème Brûlées I've had in the past, but it wasn't overly filling or too sweet! It was so delicious I could have happily ate two - and believe me I was tempted! I had to keep in mind the place was extremely busy but they really could have done with a few extra pairs of hands on for the lunch time rush, especially over half term! The staff seemed run off their feet and trying to get someones attention to order or top up drinks was a work of art. There where a couple of big parties in too, so as a twosome we felt a little forgotten about - one of the serves did tell us that the bigger parties where the reason our food was taking so long to come out. It was around 1.30pm wen we dined, right in the middle of the lunch hour, so maybe a little earlier wouldn't have been so busy? The atmosphere at Hanover Street Social is great though. I loved the ceiling of twinkling fairy lights over the bar and when it's full of hustle and bustle it really comes to life. It feels a little on the small side but I actually quite liked that. It's a great spot for lunch and the deal they have is on parr with other set menu prices across the city centre. I saw quite a few of the other dishes coming out of the kitchen and everything looked amazing, especially the chicken breast and the burger! It looks like a poplar place for business, or 'power lunches' too, lots of 'banker' types suited and booted. I'd love to go back and try a few other things on the menu, and hopefully at a slightly quieter time, there where moments when it got so loud we could barely carry on a conversation! Overall an enjoyable experience and you really couldn't fault the food. Everything was delicious and I left feeling full and well fueled for an afternoon of shopping! 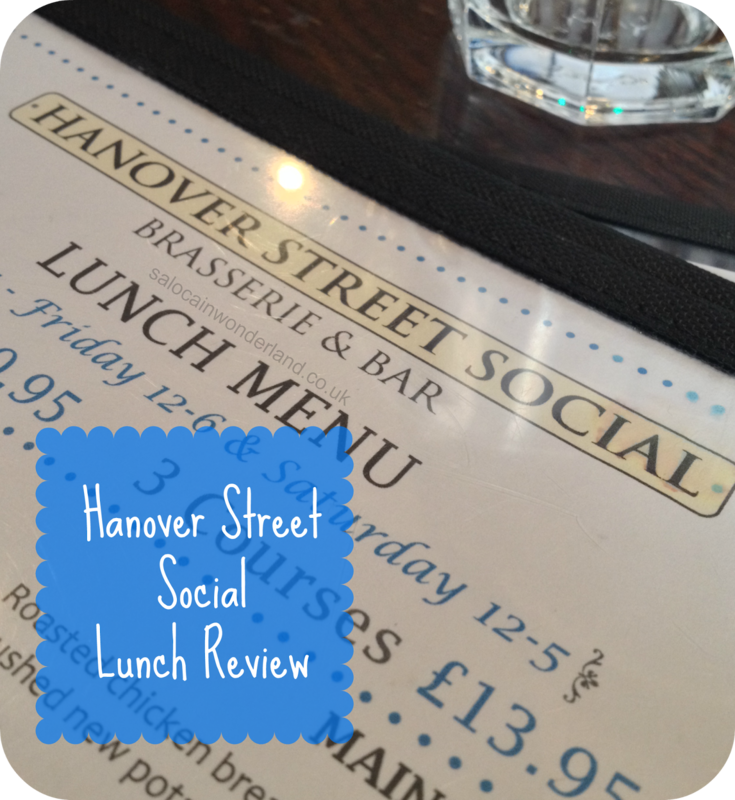 Have you eaten at the Hanover Street Social? 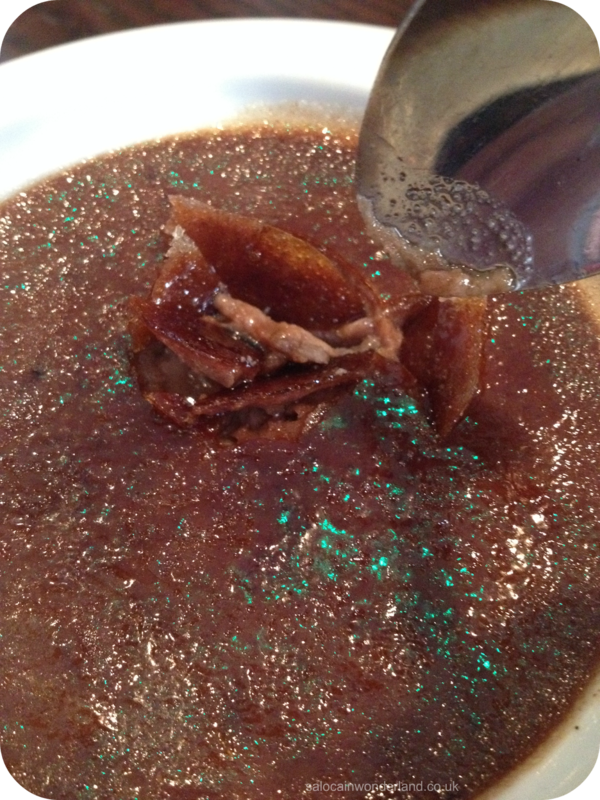 Haha, I thought the dessert had glitter in for a moment there. Te salmon looks lovely, great choice! A glittery top would have been amazing! They should take note of this idea hehe! The salmon was amazing! I always tend to order the same thing so I was trying to be a little more adventurous, it was a good choice!